In 2013, the fifth-most Googled diet search term was &quot;ketogenic&quot;; in 2014, it rose to number two. Now, The Ketogenic Cookbook, one of the most highly anticipated cookbooks of 2015, is set to be the ultimate resource for the growing number of people interested in eating a low-carb,... read more moderate-protein, high-fat diet to lose weight, improve their health, and heal their bodies from the inside out. 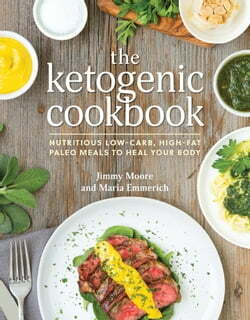 In addition, The Ketogenic Cookbook&nbsp;explains why a ketogenic diet can help treat chronic illnesses from type 2 diabetes to heart disease to epilepsy, offers practical advice for pursuing nutritional ketosis, outlines the unique combination of whole foods that will help you become ketogenic, and much more.